Blog Start is responsive blogging theme, perfect for everyone who wants to start personal blog. Blog Start supports unlimited colors, so you can choose yourself the best color variation for your blog. 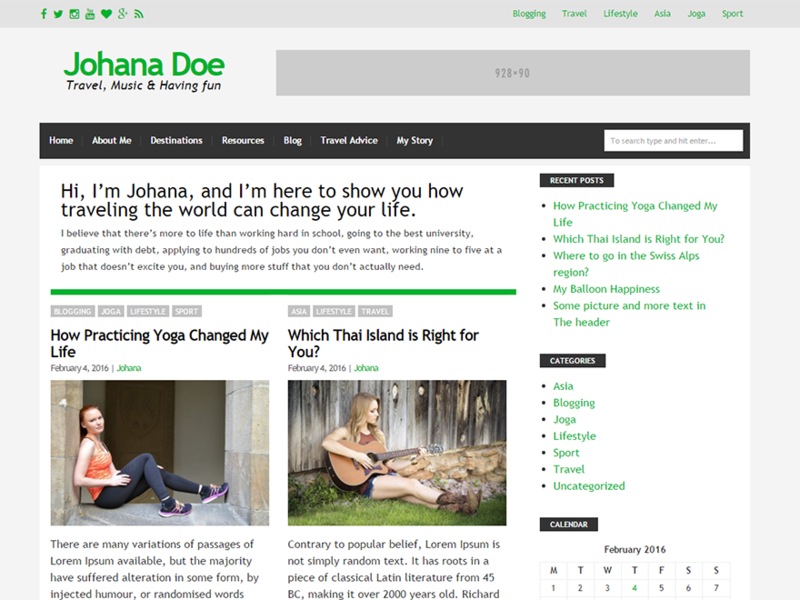 Our theme is ideal for starter bloggers, easy to use and customize. Blog Start supports HTML5 and schema.org code, the semantic foundation for best SEO best practices. The theme is social networks friendly and supports all modern browsers.